Big Poppa Eats: Forget the cherry on top, we want a cherry on the bottom...of the glass. Forget the cherry on top, we want a cherry on the bottom...of the glass. With summer upon us our thoughts turn to summer cocktails and those "white" or "light" liquors. Gin & Tonics, Mojitos and Margaritas take over for Manhattans and Sazeracs. But do not forget about our brown liquor friends. Because right now, at greenmarkets around the city, it is cherry season. Specifically sour cherry season. And why does this matter? Because I just found out how easy it is to make your own Maraschino Cherries. I am a big bourbon fan and the Manhattan is my favorite cocktail. The finishing touch of the Manhattan is the cherry, and it always struck me that your standard Maraschino always added a touch of a Shirley Temple to a Manhattan. Not a good thing. The cocktail revolution of the past few years confirmed that for me. As bars and bartenders started ramping up their offerings, they looked not only at the liquor they were serving but the the other parts of the cocktail like ice, bitters and garnishes. Homemade bitters, cocktail onion and cherries have become essential staples of the best cocktail bars. You don't have to make your own bitters at home, but it is worth it to make your own cherries. It is easy and will will take that Manhattan to a new level. A quick note about this recipe. This is not trying to recreate the bright red, sickly sweet Maraschinos you are used to. There are recipes out there for that. These cherries are for cocktails, not Shirley Temples and ice cream sundaes. There is no sugar in them so they are more sour than sweet. They are a deep, dark red and they are delicious. Your bourbon will thank you. This recipe is for a pint of cherries but you can easily double it if you buy a quart of cherries (I did). Wash cherries then remove stems and pits. Gently warm the maraschino liqueur in a sauce pan over medium heat. When it begins to simmer turn off the heat and add the cherries. Stir. Allow the mixture to come to room temperature. 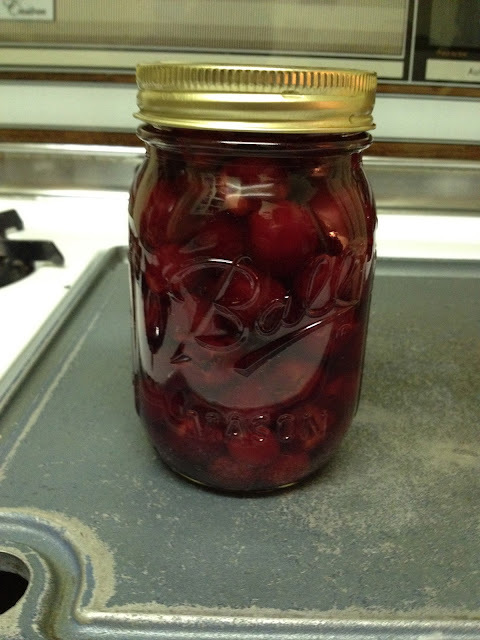 Decant the cherries and liquid into a clean jar with a tight fitting lid. Done. Easy. Store in the refrigerator. They will be ready in 2 days but they get better with age. They should last up to a year, or until sour cherry season comes around again. Add bourbon, sweet vermouth and bitters. Enjoy! You beter read these argumentative essay topics now. I think it will be awesome for you. Believe me.